The notion of online privacy has been greatly diminished in recent years, and just this week two new studies confirm what to many minds is already a dismal picture. First, a study reported on Monday by Stanford University found that smartphone metadata -- information about calls and text messages, such as time and length -- can reveal a surprising amount of personal detail. To investigate their topic, the researchers built an Android app and used it to retrieve the metadata about previous calls and text messages -- the numbers, times, and lengths of communications -- from more than 800 volunteers’ smartphone logs. In total, participants provided records of more than 250,000 calls and 1.2 million texts. The researchers then used a combination of automated and manual processes to understand just what's being revealed. What they found was that it's possible to infer a lot more than you might think. A person who places multiple calls to a cardiologist, a local drug store, and a cardiac arrhythmia monitoring device hotline likely suffers from cardiac arrhythmia, for example. Based on frequent calls to a local firearms dealer that prominently advertises AR semiautomatic rifles and to the customer support hotline of a major manufacturer that produces them, it's logical to conclude that another likely owns such a weapon. The researchers set out to fill what they consider knowledge gaps within the National Security Agency’s current phone metadata program. Currently, U.S. law gives more privacy protections to call content and makes it easier for government agencies to obtain metadata, in part because policymakers assume that it shouldn’t be possible to infer specific sensitive details about people based on metadata alone. This study, reported in the Proceedings of the National Academy of Sciences, suggests otherwise. Preliminary versions of the work have already played a role in federal surveillance policy debates and have been cited in litigation filings and letters to legislators in both the U.S. and abroad. 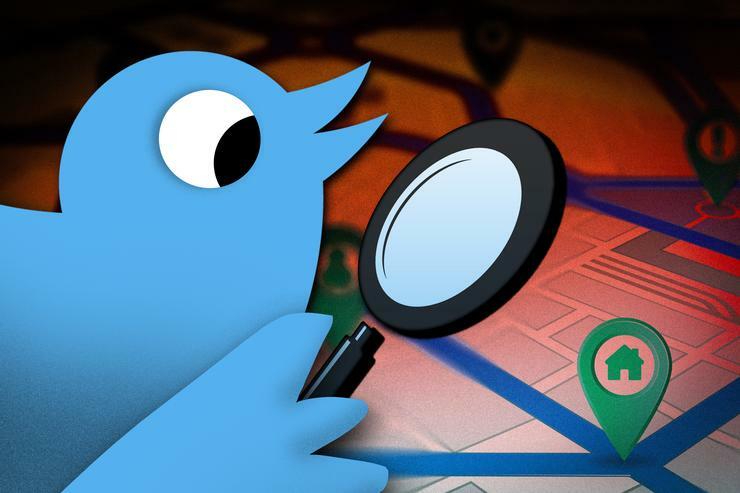 Researchers at MIT and Oxford University, meanwhile, have shown that the location stamps on just a handful of Twitter posts can be enough to let even a low-tech snooper find out where you live and work. Though Twitter’s location-reporting service is off by default, many Twitter users choose to activate it. Now, it looks like even as few as eight tweets over the course of a single day can give stalkers what they need to track you down. The researchers used real tweets from Twitter users in the Boston area; users consented to the use of their data and also confirmed their home and work addresses, their commuting routes, and the locations of various leisure destinations from which they had tweeted. The time and location data associated with the tweets were then presented to a group of 45 study participants, who were asked to try to deduce whether the tweets had originated at the Twitter users’ homes, workplaces, leisure destinations or commute locations. Bottom line: They had little trouble figuring it out. Equipped with map-based representations, participants correctly identified Twitter users’ homes roughly 65 percent of the time and their workplaces at closer to 70 percent. Part of a more general project at MIT’s Internet Policy Research Initiative, the paper was presented last week at the Association for Computing Machinery’s Conference on Human Factors in Computing Systems. Twitter said it does not comment on third-party research, but directed users to online information about its optional location feature.